I’ve been in a terrible funk this week for a variety of reasons. When I start feeling overwhelmed by major circumstances that seem outside of my control, I tend to freeze up, get panicky, get angry at myself that I can’t stop the panic, get upset that I’m angry at myself, and just completely melt down, which means crying too much, sleeping too much, and generally wandering around in a helpless fog, hoping someone or something will rescue me from myself. But invariably I am left to my own devices, and if I don’t pull myself up out of it, no one else in the world will. So instead of letting myself get to the point of total failure, these days, I try a variety of tricks to distract myself, reinforce my faith in the world, and set myself on a course that doesn’t involve quite so much personal melodrama. Sometimes I’ll just read a good book. I’ll get completely lost in a story, in some world where everyone has real problems – and real, concrete solutions: where everything turns out tidy and final in the end, and everyone gets what they deserve. It’s comforting, even if it’s fictional, and I can’t tell you how many times I’ve thought to myself, “okay, but what would [fictional character] do in this situation?” I can’t tell you how many times it’s helped. However, I’m trying to write my own book at the moment, and that makes reading very difficult for me. In addition to being unable to drag myself out of an author’s world for a while, long enough to tend to my own, I often get shamefully competitive and also somewhat derivative if I read while I write – unconsciously, but it happens – and I’m not one of those people for whom the advice “read as much as you can so you learn how to write” is really useful at this point in my budding literary career. But that’s a different topic all together. So what do I do when I need a story? Well, television, of course. It’s not my medium, and it’s a completely different type of narrative, so I don’t feel any pressure to be just as good if not better, and it has the added benefit of visual stimulation that does help take me out of my own head in a way books have yet to fully manage. 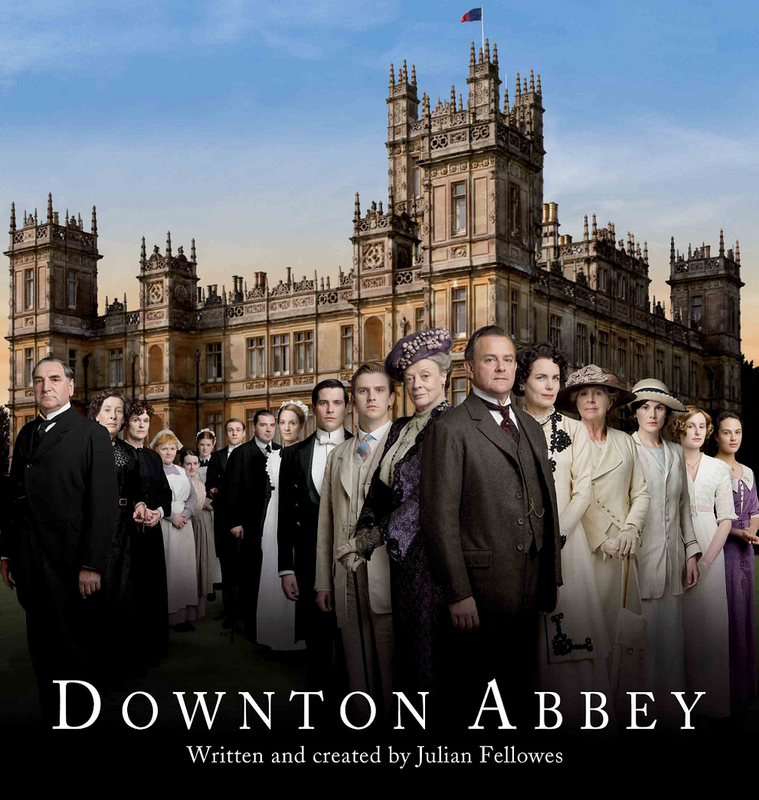 The point is that I finally allowed myself to watch Downton Abbey. Two seasons in two days, because I don’t really have much else to do besides work on a large crochet project for a friend, and I can’t watch TV without doing something with my hands, so that works. It was great. It’s stunningly beautiful – the costume department deserves every award there is – and quite well-balanced for an ensemble production trying to bridge two different worlds. It handles the history interestingly, if not entirely thoroughly (the scenes in the trenches were powerful and gripping, however), and the characters are mostly well-drawn. It’s sort of an odd show: it’s not over-the-top enough to be a true soap opera, but the drama and sudden twists and turns are just a bit too unbelievable to be a serious portrait of family life. The one real complaint I have is that it just sort of sets people up with each other by telling you they’re madly in love, instead of showing the evolution of the relationship in a way that seems believable. Yearning glances are all very well in their own way, but if there’s no action to back them up, and then suddenly people are swearing their eternal allegiance to each other, it does seem rather odd. In any case, it was a lovely break from my own troubles, and I’d highly recommend it to anyone as late to the party as I am. I was hoping it would give me a little injection of inspiration when it came to The Spoil of Zanuth-Karun, which is turning out to be an ensemble production of its own, and I think it certainly has. So not a waste of time, I hope. A little bit of turn-of-the-century British stiff upper lip doesn’t hurt, and I certainly did a lot of crocheting. Once again I’m going to try to do a hard reboot of my mentality, and try to muddle through. We’ll see how it goes. I haven’t actually done much fictional reading about the time period, but I’ll be sure to check it out.